What to See: Make time to visit the rousing Canadian Tribute to Human Rights. Feel the community spirit at Inspiration Village in ByWard Market, or admire local expression at the National Gallery of Canada. 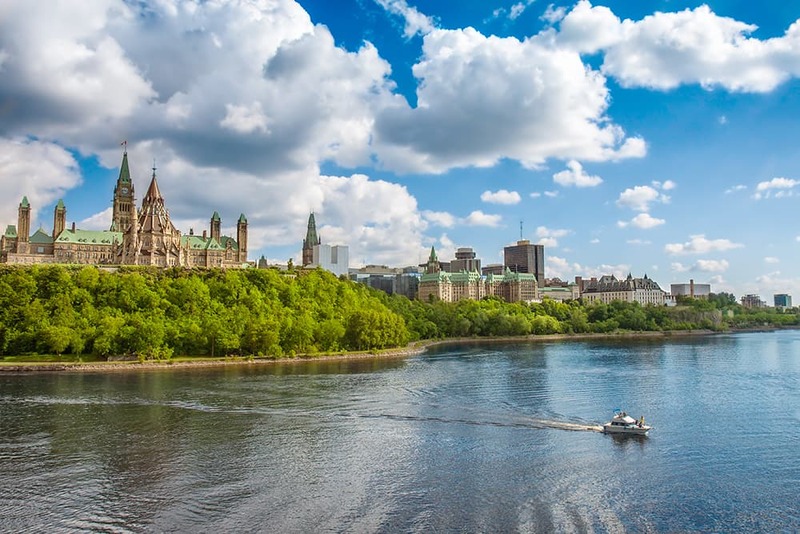 There’s no doubt that Ottawa is one of the best travel destinations in 2017. Places to Eat: Union Local 613 offers communal style tables, martini glasses filled with powerful elixirs, and a late night menu (featuring “working womens chicken wings” and peanut butter pudding) that’s to die for. You might also want to stop at Sidedoor. The slate and black aesthetic makes the colourful entrees pop on the plates. 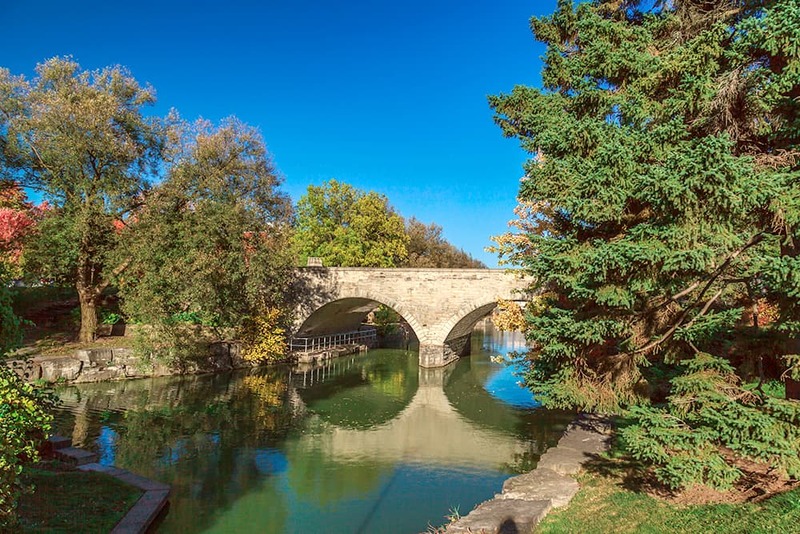 Where to Stay: Centrally located, stunningly beautiful, and even a little bit historic, Lord Elgin Hotel ensures an elegant stay in the city. When to Go: There isn’t a bad time to swing through the capital city in this anniversary year. That said, Ottawa is going all out for Canada Day in July. Anticipate bold theatrical performances and live music. What to See: Vancouver Art Gallery always features stunning art, and this year promises poetry readings and Monet’s Secret Garden summer gala to celebrate the Monet exhibition. Make a stop at Canada Place as well. This famous landmark has events going on all year, with a special surprise concert to celebrate the 150th anniversary. Places to Eat: With reclaimed wood, Edison lights, and a menu that includes squid ink noodles and bacon pate, The Belgard Kitchen deserves to top your “try this” list. Where to Stay: Located only a short walk to the harbour and known for its upscale accommodations, make your reservations at The Loden. 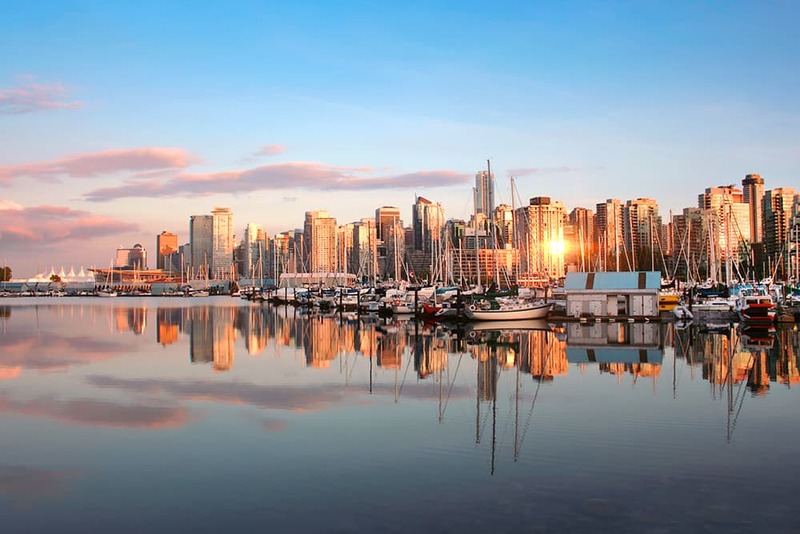 When to Go: With good weather and events like the Vancouver Fringe Festival (Sep 7-17) and International Film Festival (late Sep-early Oct), we’d recommend a Vancouver trip between September and November. What to See: In honour of the 375th anniversary of the city, Cite Memoire is projecting images, words, and lyrics on buildings, trees, and other surfaces around Old Montreal. 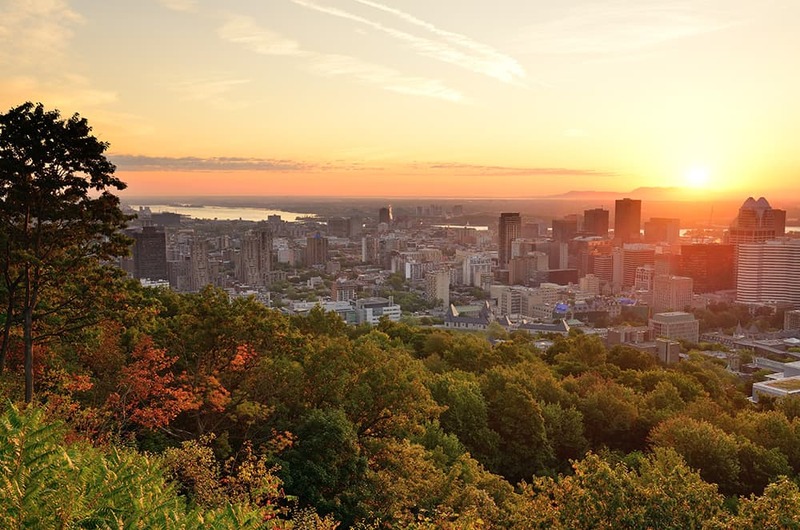 Other top attractions of the city include new exhibits at the Montreal Museum of Fine Art, an interactive exhibit of musician Samy Elmaghribi at the Museum of Jewish Montreal, and local wares from Jean-Talon Market. Simply put: Montreal is one of the best places to travel to in 2017. Places to Eat: Give your taste buds an adventure when you try everything from tostadas from Tiradito, bison burgers from Pullman, or Portuguese chicken from Campo. Where to Stay: Why not stay in a place known for elegance? Book a few nights at the exquisite Auberge du Vieux-Port or Hotel Nelligan. When to Go: With Montreal is celebrating its 375th anniversary, 2017 is packed with events every month and season. What to See: The Exchange District is hosting a ton of festivals in 2017, including the TD Winnipeg International Jazz Festival, Winnipeg Fringe Theatre Festival, Manitoba Electronic Music Exhibition (MEME) Festival, and Culture Days Manitoba. For further arts and inspiration, take some time to visit the Winnipeg Art Gallery and Leo Mol Sculpture Garden. Places to Eat: Winnipeg restaurants take pride in conjuring unforgettable flavors from local ingredients. Give your taste buds a holiday when you try eateries like deer + almond, Peasant Cookery, and The Roost. Where to Stay: Treat yourself to a spa day in 2017and visit the luxurious Fort Garry Hotel. Or, enjoy a sleek, modern stay when you book the Mere Hotel. When to Go: The best times to go to Winnipeg in 2017 are (1) January, for the Winnipeg New Music Festival, from Jan 28-Feb 3, and (2) July, for the annual Winnipeg Fringe Theatre Festival. What to See: Conception Bay South won two 150th Anniversary Garden awards, so be sure to admire the several lush gardens in the city. We’d also recommend sailing lessons through the Royal Newfoundland Yacht Club and tours through Ocean Quest Adventures. Places to Eat: Conception Bay South is about good food, without the need to dress up dishes with cutesy names or wacky ingredients. Instead, get freshly caught cod from Hooligans Sports Bar, old-fashioned flavors from Bergs Famous Ice Cream, and sweet chicken wings from Vio’s Bayside Bistro. 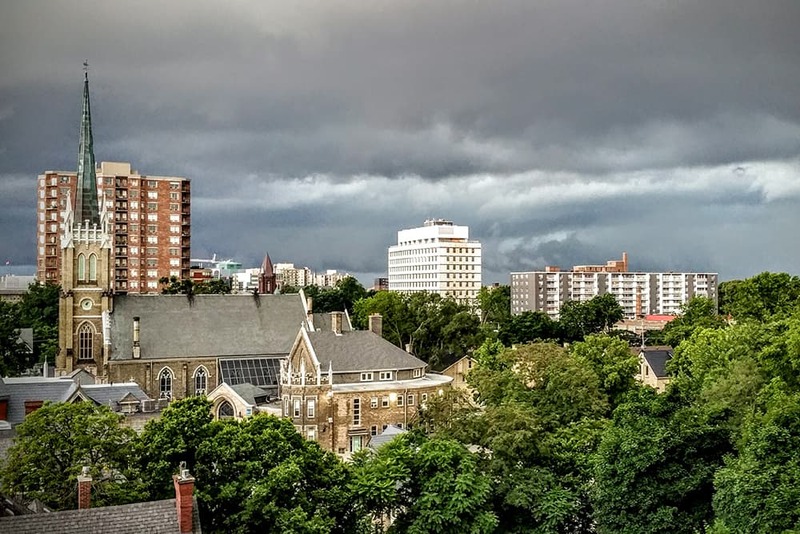 Where to Stay: Located on Kenmount Road (one of the city’s main streets), Capital Hotel is a perfect spot to call home base during your trip. And if you’re looking for something quick and affordable, the Sunset Motel is a welcoming option as well. When to Go: Don’t miss humpback whale season. Visit Conception Bay South July-August. 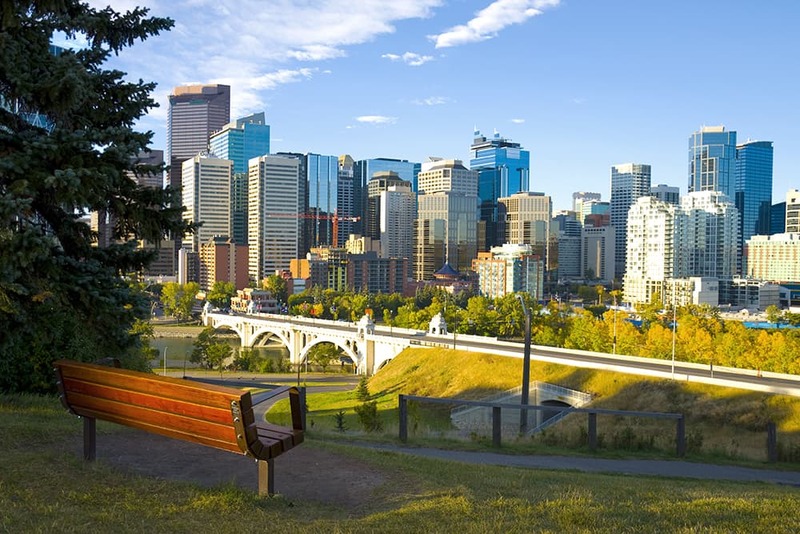 What to See: Aside from the legendary Calgary Stampede, get to know Calgary with a visit to Bowmont Park, Studio Bell: National Music Centre, and Big Rock Brewery. Places to Eat: Calgary knows meat, period. Try dishes like pork belly potato skins from MARKET, homemade sausages from CHARCUT, and juniper smoked elk from NOtaBLE. Where to Stay: When someone said that it’s all about location, location, location, they were talking about the Le Germain Hotel. Located at the base of Calgary Tower and a short stroll from Stephen Avenue Walk, this upscale accommodation is a well-seasoned choice for your trip. When to Go: If you’re going to Calgary for the first time, touch down during the Calgary Stampede in July. It’s the biggest event of the year and a must-do for all travellers. What to See: Stretch your imagination with a trip to Art Gallery of Guelph, which will be featuring “A Sense of Wonder” in spring—a project that supports the deaf and disabled community. Other Guelph museums, such as Civic Museum, McCrae House, and Locomotive 6167 are also top attractions to check off your 2017 to-do list. Places to Eat: “Local cuisine” isn’t just a buzzword in Guelph. Prepare to salivate over dandelion green jus atop baseball sirloin at 39 Carden Street, nachos made with locally grown ingredients at The Wooly, and homemade sauces and dressings at Baker Street Public House. Where to Stay: Cozy and refined don’t always belong in the same sentence together, but they do when you talk about Norfolk Guest House. This charming red brick inn features fireplaces in the rooms and tasteful décor. When to Go: Make your way to Guelph in July, when the annual Hillside Festival takes place July 14-16. What to See: If your lips have never tasted the rich flavours of Nova Scotia wine, 2017 is the time to rectify that. Make a stop at the Luckett Vineyards for wine tasting or one of their special Wine & Dine nights. 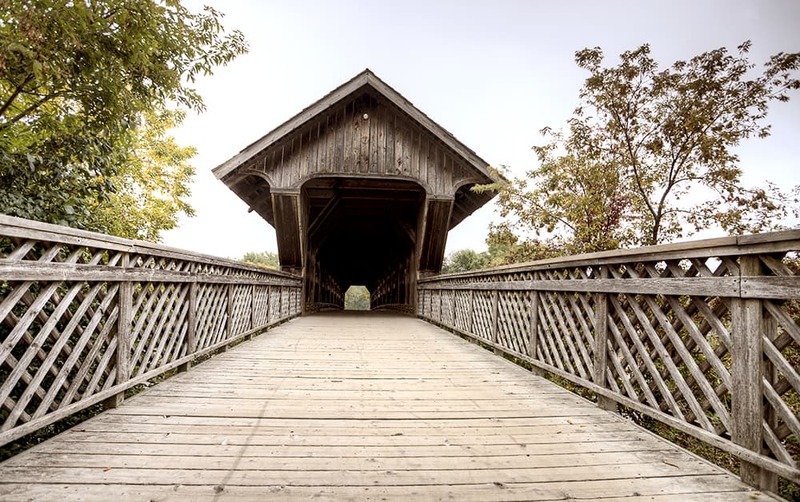 For greenery of a different kind, stop by the KC Irving Environmental Science Centre and Harriet Irving Botanical Garden, or learn more about Wolfville’s history with a visit to the Randall House Museum. If you’re asking yourself where to travel to next in 2017, make Wolfville your top choice. Places to Eat: Pair up regional reds and whites with dishes like kettle soup from Library Pub, or spicy chicken kofte from Troy Restaurant. Where to Stay: If you’d like local wine to complement your accommodations, you’ll love both the Victorian-styled Blomidon Inn and the tranquil Tattingstone Inn. 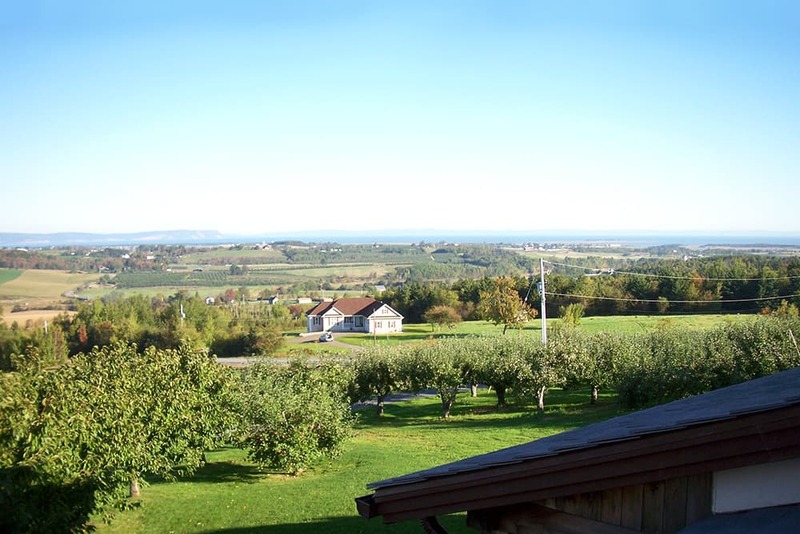 When to Go: The best time to visit Wolfville is between August and September, which is when the Deep Roots Music Festival takes place and the Magic Winery Bus offers its most popular tours. What to See: You can’t see forward without first looking back. For that, make a stop at the Museum of Ontario Archaeology to see artifacts and collections from yore. Stop into Museum London, which is hosting art classes throughout the year, and the Covent Garden Market, which has been around since the 1830s and still offers fresh produce and cooking lessons. Where to Stay: Idlewyld Inn & Spa was once the mansion of Charles Smith Hyman, the former Mayor of London, seven-time Canadian men’s singles tennis champion, and the fellow credited with introducing bridge to the country. Quite the resume, eh? Enjoy a sense of old-school royalty when you stay there during your trip. When to Go: Aim your trip anytime between summer and late fall, so you can experience the Clovermead Adventure Farm. More specifically, make time to come to town in July for Pride London, taking place July 20-30. What to See: The 150th anniversary is very much on display at the Confederation Centre of the Arts. They’re hosting a series of art exhibitions and heritage programs, including “The Dream Catchers,” which is a touring workshop that asks young people their dreams for themselves and the country, that concludes with an expansive exhibit of their self-designed dreamcatchers at the Centre. 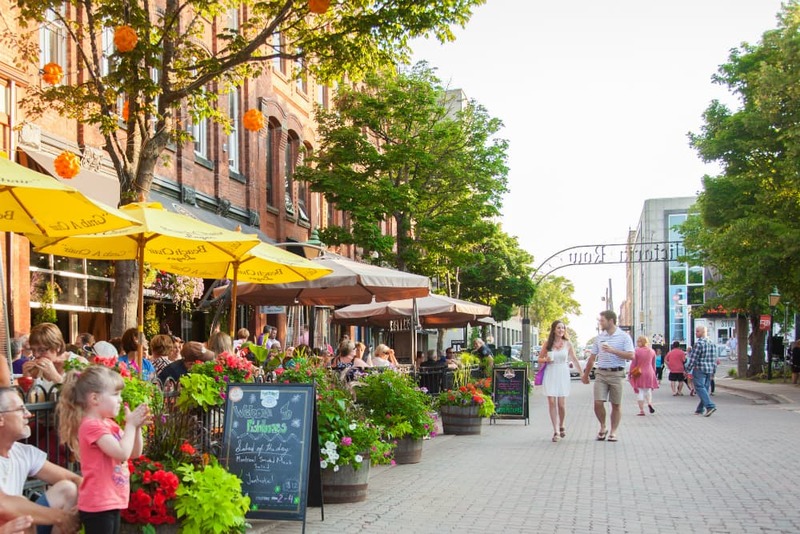 Other top attractions in Charlottetown include Victoria Row, which is always full of boutiques, antique shops, and outdoor performances. Places to Eat: When you’re on Prince Edward Island, seafood is king. Don’t miss dishes like fresh oysters at Sims Corner Steakhouse and Oyster Bar, or seared scallops from The Pilot House. Where to Stay: Plush but classic, Eden Hall Inn (built in 1897) and the award-winning Great George are top choices in the city. When to Go: Arrive in Charlottetown between May-September, when the reboot of “Anne of Green Gables” (filmed on Prince Edward Island) premieres on Netflix. You’ll also be in town to catch “Anne & Gilbert: the Musical,” and go on an historical outing with the Confederation Players Walking Tours. What to See: With an ever-changing gallery and theatre schedule, you don’t want to miss any events at The Langham. For more outdoorsy fun, check out professionally led mountain bike tours through Retallack, kayaking lessons with Kaslo Kayaking, or get to know the SS Moyie at the National Historic Site. Places to Eat: With cool mountain air just outside, enjoy breakfast with a hot cup of coffee at Bluebelle Bistro & Beanery, some pizza and live music at Buddy’s Front Street Pizzeria, and homemade soups from Treehouse Restaurant. 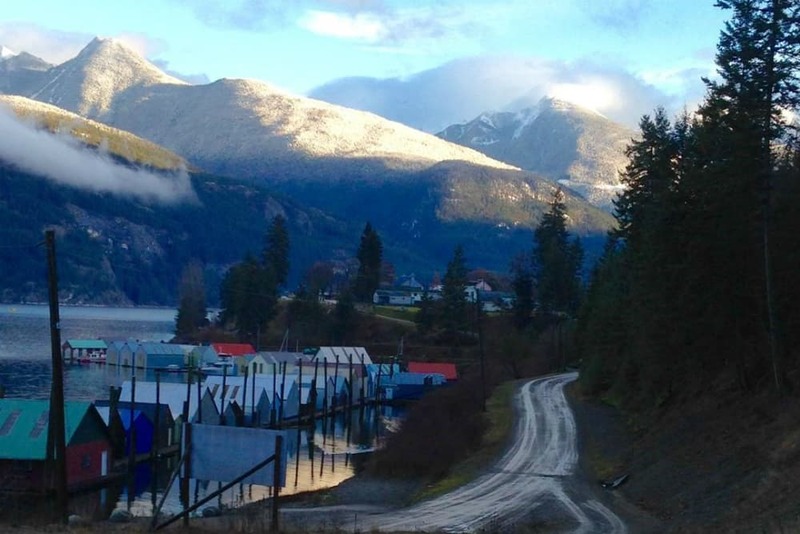 Where to Stay: With views of Kootenay Lake, the cozy yet vintage Kaslo Hotel is the perfect spot to stay during your trip. When to Go: August is the most eventful time of the year in Kaslo, with both the Columbia Basin Culture Tour and the Kaslo Jazz Etc. Summer Music Festival taking place during this summer month. What to See: In honour of the 150th anniversary, the University of New Brunswick Art Centre is showcasing “Souterrain Impressions,” which honours the Canadians who fought for a better future during WWI. For more local pride, take a walking tour through Fredericton Heritage Trust or taste regional produce at Fredericton Farmers Market. Places to Eat: Fredericton has a ton of great nibbles and sips to try. Indulge in sparkling cocktails at Brewbakers, specialty cider at Red Rover Craft Cider, tasty ales at Picaroons Traditional Ales, local hops at Maybee Brew Co., and signature meats and brews at The Hilltop. 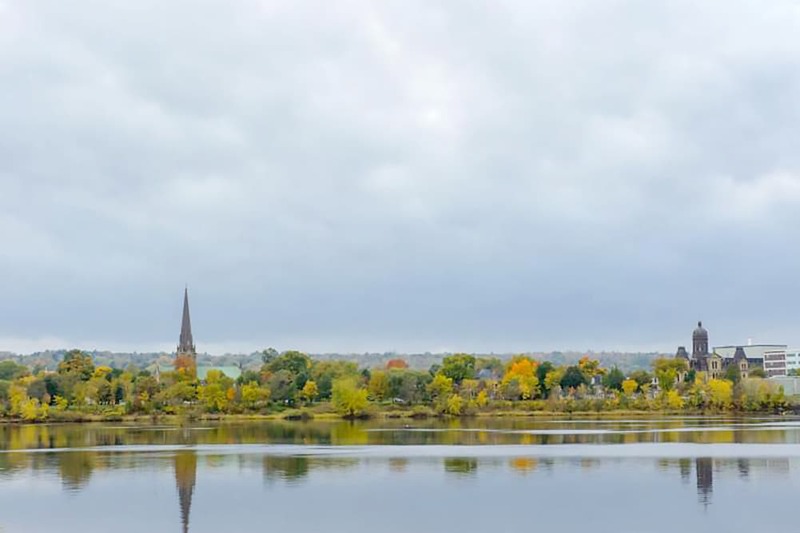 Where to Stay: Located in the heart of New Brunswick on the Saint John River, Delta Hotels by Marriott Fredericton is a prime spot. When to Go: Aim your trip to Fredericton between mid-January through July for the city’s biggest festivals, including FROSTival and the New Brunswick Highland Games. What to See: Rossland is a winter wonderland. Enjoy the stunning mountain views as you’re skiing, snowboarding, or sledding down the slopes. Turn to Black Jack Ski Club for access to the best trails. When you want to know where to go in 2017, this is the place. 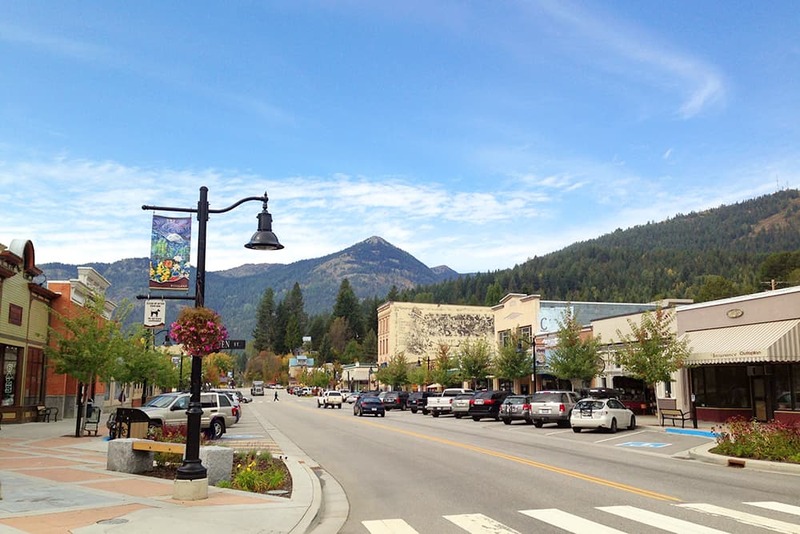 Places to Eat: There’s a little bit of everything in Rossland, and luckily, it’s all good. Give in to the hoppy flavours at Rossland Beer Company, twirl up some noodles at Mook Thai, and dig into a pie at Misty Mountain Pizza. Where to Stay: With picturesque views, nothing beats the Red Mountain Resort. When to Go: Rossland comes alive in winter. Don’t miss the annual Rossland Winter Carnival or the 2017 Red Mountain Resort Canadian Open Freeride Championship. What to See: The Stars & Thunder fireworks competition and music festival is poised to be a must-see event in 2017. The lineup is stacked with acts like Keith Urban and Simple Plan, and the fireworks show is an international competition between eight countries. Places to Eat: Try out some fresh seafood at Fishbowl Restaurant, or enjoy hearty Italian dishes from East Side Mario’s. Where to Stay: Whether you want to rent a canoe, enjoy a holiday feast, or take in a massage, you can expect to be pampered at Cedar Meadows Resort and Spa. When to Go: Due to the ample wakeboarding opportunities, summer is the prime season to visit Timmins. What to See: If you haven’t experienced the great outdoors in Rimouski yet, make 2017 the year you do. 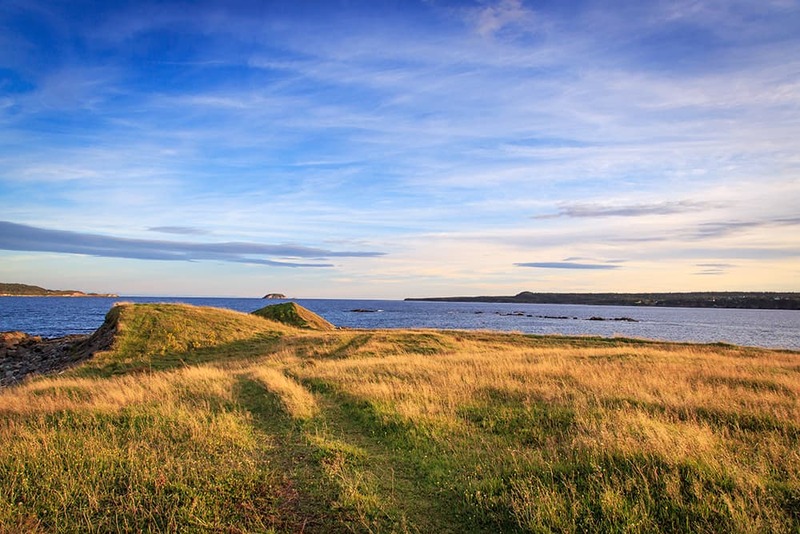 Slather on sunscreen and visit Parc National du Bic, Des Portes de l’Enfer, and Tide Tower. Downtown Rimouski, with its nearby boardwalk along the St. Lawerence River is also a must. Places to Eat: With local ingredients and French preparation, Quebec’s food scene is world renowned. Try some local fare when you stop into Chez Saint-Pierre or Le Bien Malt. Where to Stay: Stay at the Gouverneur for river views and easy access to the Reford Gardens. 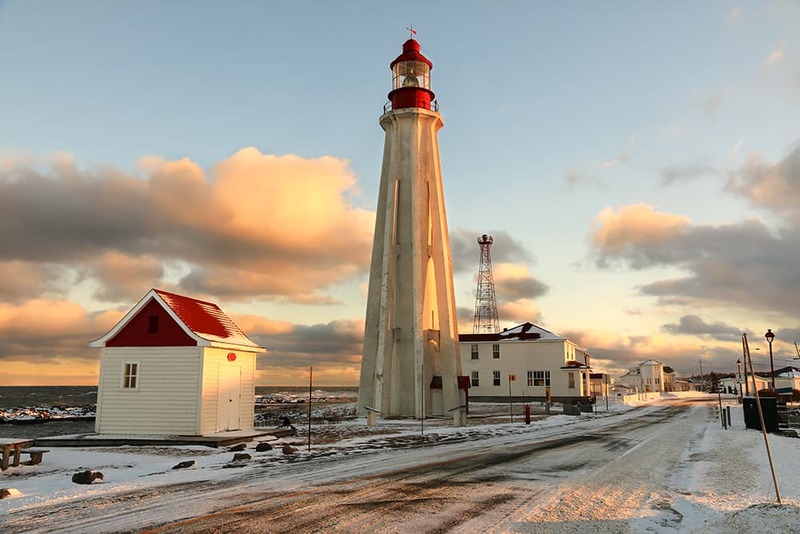 When to Go: For idyllic weather, make your way to Rimouski in late summer through fall. What to See: When those summer nights warm up, you know that the outdoor concerts at Mackie Lake House are just getting started. Catch a show and enjoy lake views in the process. For other must sees, take a jaunt around Grey Canal Trail or sip on drinks at the BX Press Cidery & Orchard. Places to Eat: The valley knows good brews and wines. Treat yourself to a tasting tour when you try out spots like Wild Oak, Marten Brew Pub, Intermezzo, and Okanagan Spirits. Where to Stay: Stay at Outback Lakeside Resort for designer vacation rentals with views of Okanagan Lake and access to hot tubs, pools, fitness equipment, and game centres. When to Go: Autumn is magical in British Columbia. Visit during the fall months to attend the annual Vernon Fall Festival and enjoy ciders and brews on the Vernon Tasting Trail. There are so many life-changing 2017 trips to take this year, and that’s a great thing. Cheers to the 150th anniversary, and happy travels! How did you miss the Canada Summer Games in Winnipeg at the end of July! I did visit most of those cities and you have to go and discover for yourself the treasures of our country.Go and visit , you will make great memories. P.s. Post are nice but go see. So much beauty. Have enjoyed many of the places listed but ready to try many more. Inspiring! Thank you. 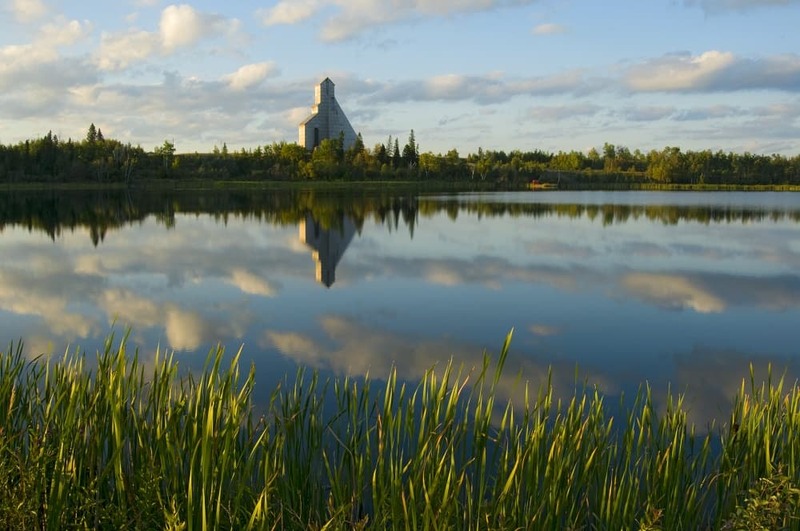 Also worth seeing in Saskatchewan, Saskatoon, the “Paris of the Prairies”. And the big sky is wonderful, especially at sunset! Sadly no representation of the Territories. With around 24 hours of daylight in the summer and auroras in the winter, the north is a great place to visit! I was raised on Kootenay Lake, British Columbia. I still think it is a most fabulous place and I will never tire of it. Overloaded on BC and Ontario which is so so typical. 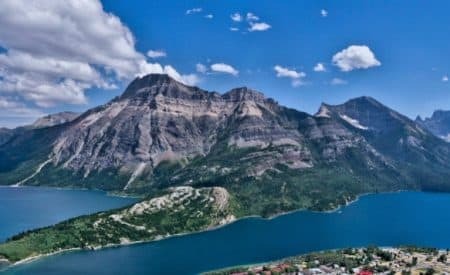 There are so any great places to visit in Canada but I’m amazed Halifax wasn’t mentioned. It’s a bustling vibrant city that has great food, history, scenery, entertainment, nature activities, I could go on and on. Very amazed it was left off this list. Plus it’s the 100th Anniversary of the Halifax explosion so there will be plenty for history buffs to see and do this year. I have visited seven of the cities on the list. 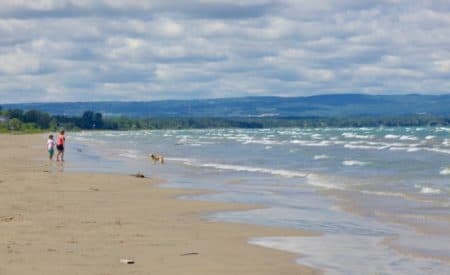 I need to explore Ontario more. What a terrible and hastily thrown together article. Seriously doubt the author visited half these places, could have just read Wikipedia and Yelp. Disappointed that you completely overlooked Saskatchewan. 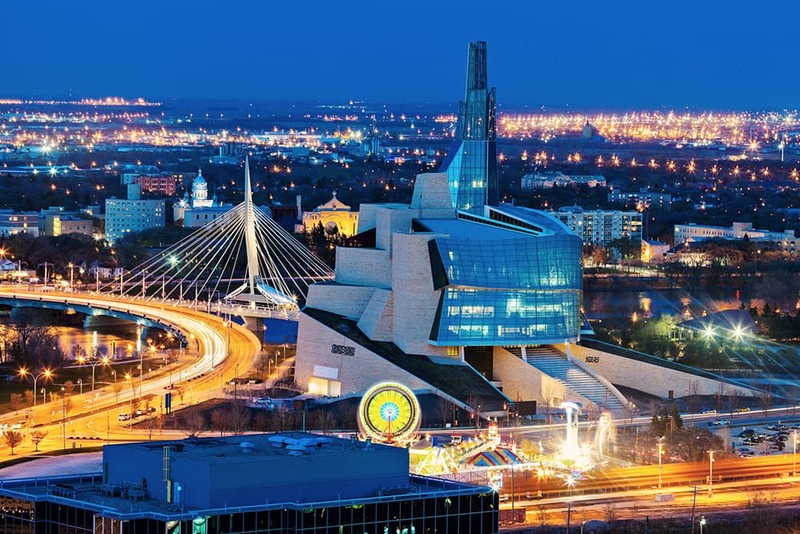 It is a beautiful place – Saskatoon in particular has a very respectable culinary scene and the downtown is very alive in the summer, not to mention the many beautiful lakes throughout the province. There are certainly some wonderful things to see in Canada, but I think tourists should stay away from Ottawa this summer (2017). The crowds on Canada Day tend to be masses of out of control drunkards, and this year will be many times worse. Americans are actually much better behaved at major crowd events. In addition, the city has always had a problem with aggressive street people and panhandlers who come out in force during the warm weather. This year looks particularly bad re the street trash, and they are becoming even more violent and aggressive than usual. I wouldn’t want children to be exposed to this, and, apparently, the local authorities don’t think it is a problem. It is worse than Washington, DC unless you go into the really bad areas of DC. Also, Ottawa like Vancouver, encourages drug use by providing safe injection sites. Not a really good place for families to visit. Don’t walk within two mile of Parliament if you come. 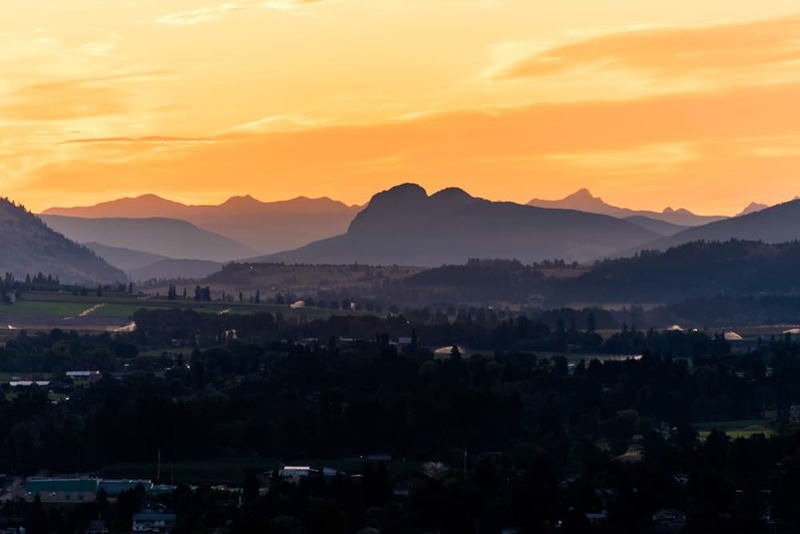 Cool article but you forgot one of the most beautiful cities of all here in Canada……..Victoria! Not only does it have lots to offer but there is a whole island to explore as well. very nice, we have a great art of carving icesculptures and setting chocolate fountain for wedding, party or any occasion. and make a lasting impresson for the your guests. Calgary is quite depressing actually. It has been so since 2015. Traffic can be hard going in and out of downtown and the rate of joblessness is overwhelming. If you missed your chance to go there before 2015, I’d wait it out another few years.
. All the places you have are beautiful but Ottawa and Montreal are my dream cities. If i got a change to be settle there then never miss it. Truly your shared all these cities are the best for having enjoyment but I have a good experience of London because I have been there many of the times in my whole life to enjoy my holidays and always spent lovely time there. Millions of visitors visited it annually with family and kids and came back with a lot of pleasant memories. Timmins is always my most favourite one destination to visit as travelling point of view. I had a great time there but I will love to make a tour there for again and again. It is a best city for visit and tourists can see there plenty diverse kind of places. Very disappointed that you didnt include Toronto. We are the #1 tourist city in Canada like seriously, how is our city not on here but you include Guelph?? Lol.